So Mexico it was, but where? I needed a location that fit the storyline of my character driving somewhat frantically south without a specific destination in mind. 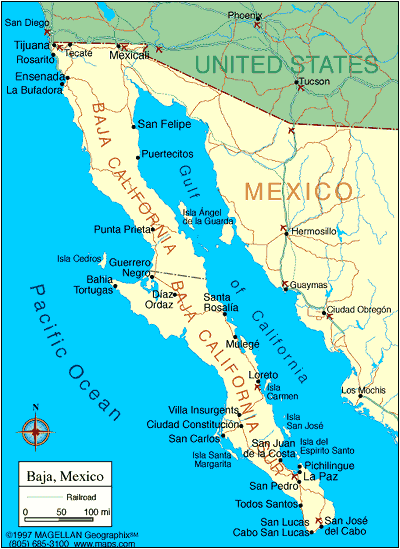 If you drive south from Alberta right through the US and cross into Mexico, you will likely arrive at the Sea of Cortez. Perfect. I was tempted to place my setting around Puerto Peñasco (Rocky Point) since we could quite easily travel there with our fifth wheel the following winter when in Arizona, but it didn’t quite have the feel I wanted. Sandra needed to drive farther. 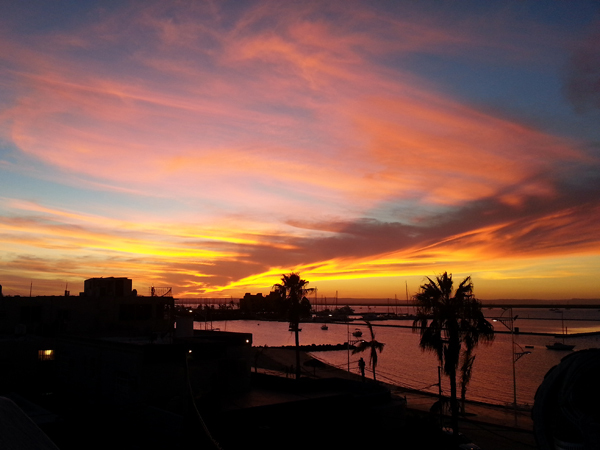 From the Mexican border to the south end of the Baja Peninsula required about twenty hours of driving. They’d done it in two days that first year, she and Rufus, pulling off the road before it got dark; at least she’d had that much sense. 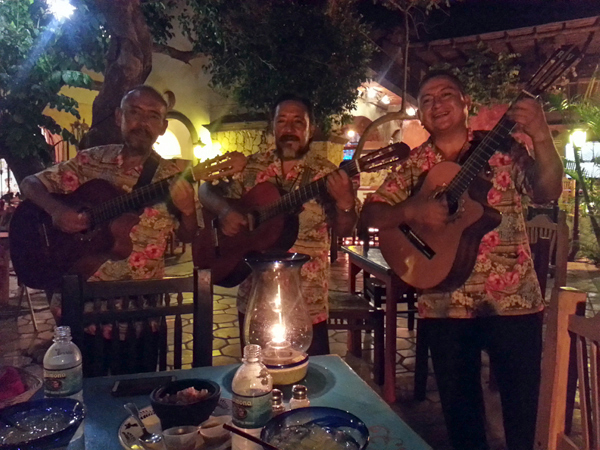 I began virtually exploring the Baja Peninsula and, after some online research, settled on the La Paz area. A city named “Peace” sounded like a place that would draw a grief-stricken woman running from her life. But I needed a smaller town, a village to suit my purposes. I browsed a few, each with attributes I liked but not quite making the complete package. So, I built my own, San Leandro, a fictional village about forty-five minutes from La Paz. The streets of San Leandro were scarce in number, but showed a pride of place in architecture and cleanliness. San Leandro was yet to become a full-fledged tourist town but those keen to find a place off the beaten path returned again and again. The idea for the hotel, Casa del Mar Azul, came from my original attraction to Spain. I had a Mediterranean-style villa in my mind–white-washed, blue trim, seaside. 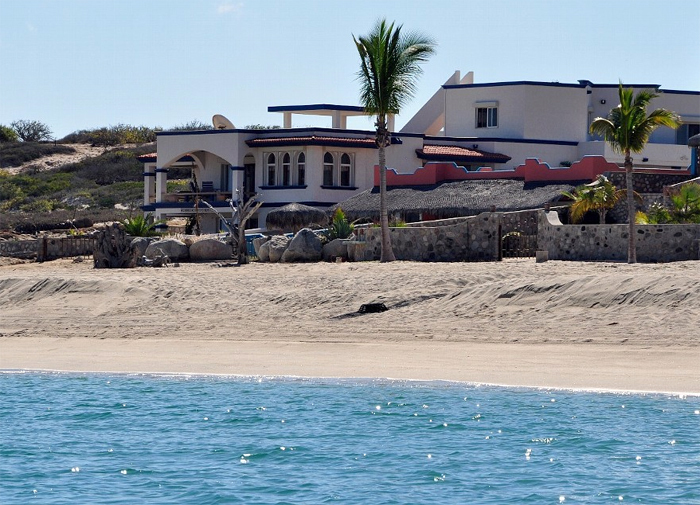 With a little shopping on vacation homes in the Baja area, I found images of a house that was perfect for mentally converting to a boutique hotel with a lounge at the beach level. Mar Azul reminded Sandra of photos she’d seen of Spanish seaside villas. In fact, it was what had drawn her here in the first place. Four years before, on her second night in Mexico, she’d stopped at a small hotel and a brochure in their lobby caught her attention. It had an image of a white and blue villa, sitting right at the edge of the sea. As the story developed, the setting became almost like one of the characters, a prominent player in the story, the centre of the labyrinth of human characters. When my editor suggested a name change from the original “Colours of White” (too close to the title of a rather famous and racy novel), the English translation of Casa del Mar Azul was the perfect fit. Casa del Mar Azul rested seaside, its white-washed face looking onto the Sea of Cortez; its backdrop the foothills of the Sierra de la Laguna mountain range. Casa del Mar Azul—House of the Blue Sea. This was very interesting: how an idea for a novel begins and develops and changes over time. The creative process in action. Beautiful photos, the sunset is spectacular.